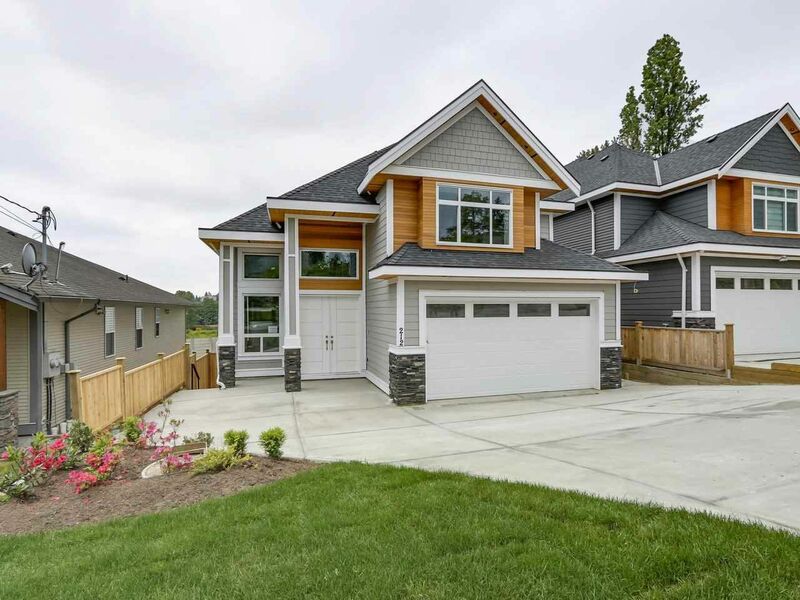 New custom home by quality builder in West Coquitlam. Spacious and open 3 level plan with impressive 18' ceilings in L.R. and D.R. Grand kitchen features a large quartz island, a separate spice kitchen and it all opens to the family room with gas F/P. The spacious covered deck has views and S/W exposure, A fully fenced, private yard. Hardwood floors, hidden gutters & 200 amp service. The upstairs has 4 generous bedrooms plus 2 full bathrooms. Radiant heat throughout. Master bath as jetted tub and spa-like shower. Legal 2 bed suite down has its own covered patio, side entrance to rec room and wet bar has potential for in-law accommodation. On a quiet, dead end street close to skytrain, Hwy #1. Lougheed, SFU and shopping. It is a pleasure to show this well built property.